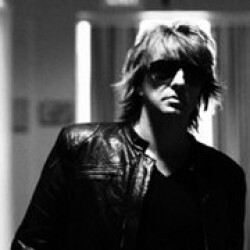 Richie Sambora has suggested Bon Jovi aren’t the real deal without him – although he accepts frontman Jon Bon Jovi doesn’t agree. The guitarist says his departure from the band was his own decision. And he admits he’s found it frustrating being seen a less important member than the singer. Long-standing tensions between the pair boiled over last April, when Sambora failed to appear for a string of tour dates and was replaced by Phil X, who’d covered for him while he was in rehab in 2011. Neither side has fully discussed the reasons for the disagreement. But in the summer Sambora predicted it would all be over in a matter of months, which proved to be untrue. Sambora says of his absence: “At the end of the day, if you’re going to buy a can of Coke you want the real thing.